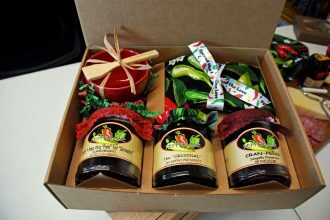 The perfect Pepperlane gift. 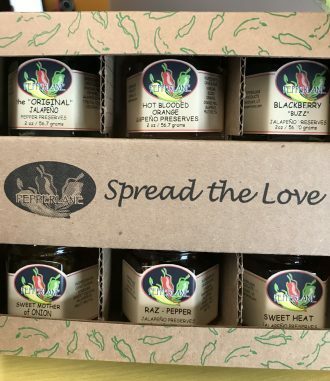 Get 6 of our most popular flavors– the Original Jalapeno, Cran-Peno, Raz-Pepper, Hot Blooded Orange, Sweet Heat and Blackberry BUZZ –in our smaller 2 oz. jars, beautifully packaged in a decorative box for gift-giving.